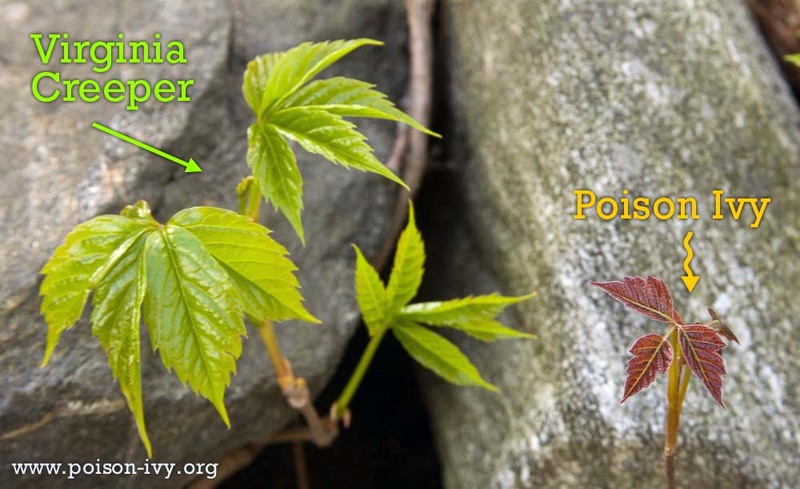 The right-hand leaf has the pointed shape typical of poison ivy, while the left-hand leaf has a rounded look without points. 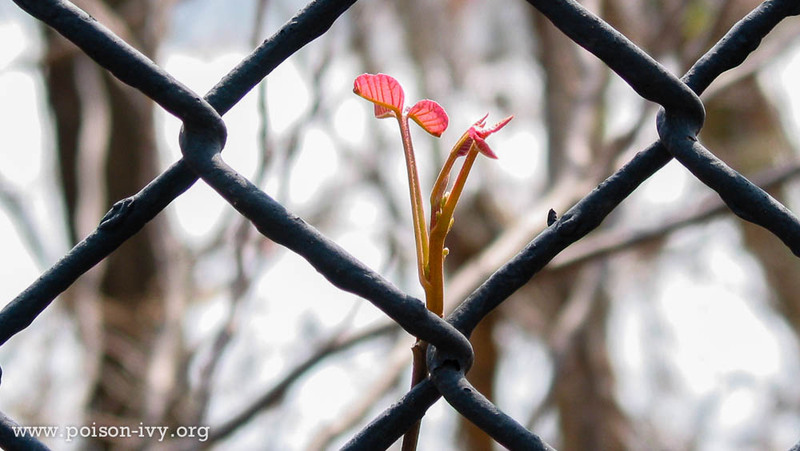 This photo, taken in New England on April 20th, shows that the flower buds show up soon after the first leaves. 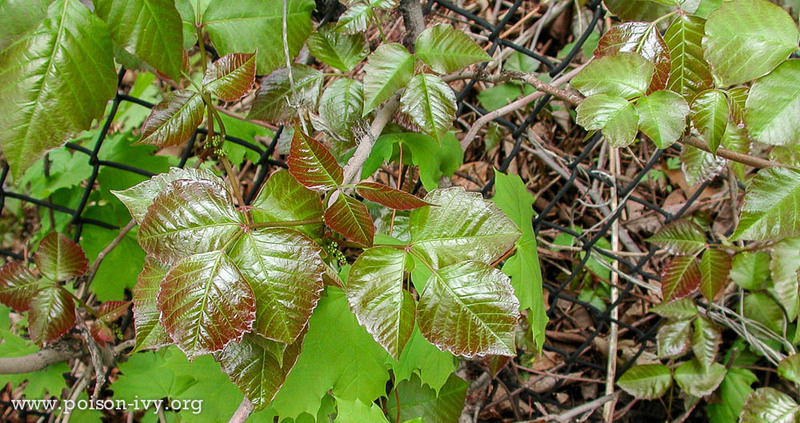 Notice: some poison ivy leaves are red, but others are green. 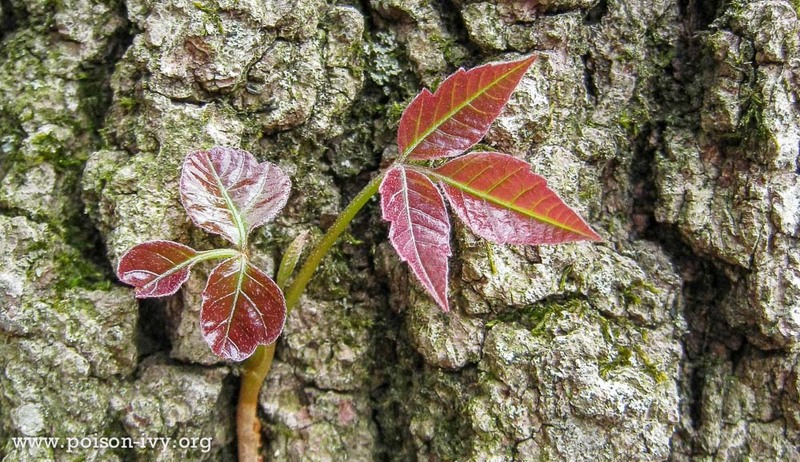 Having red leaves is not a rule, even in the spring. 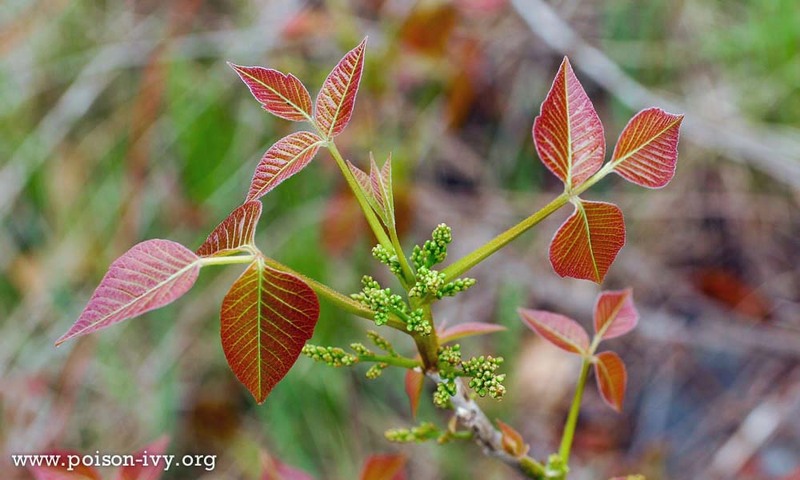 These leaves are so young they don't have any typical leaf shape: I knew what this was because I had been here the previous year when the leaves were full grown. 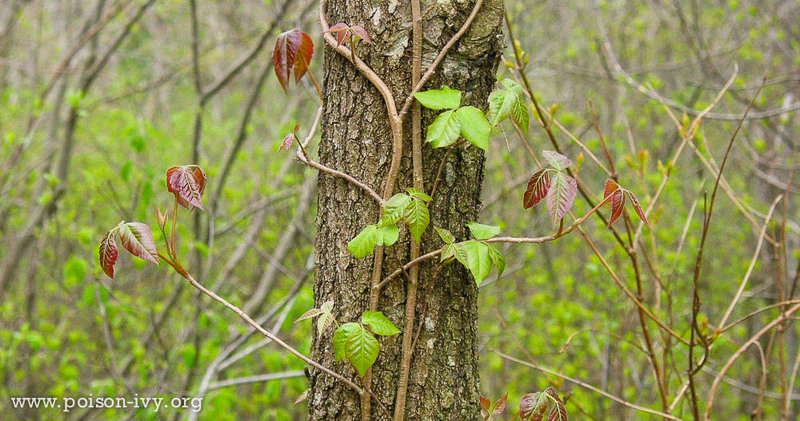 The green leaves on the left are Virginia creeper; just the red leaf on the right is poison ivy. However, creeper can also be red in the spring. 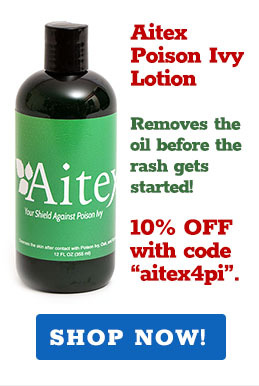 The key is that creeper has 5 leaves in the group.